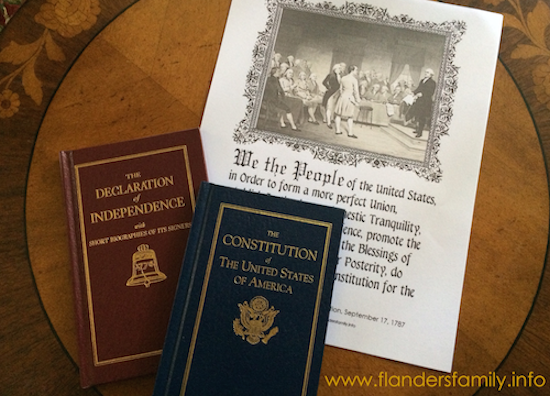 You are here: Home / Free Printables / Happy Constitution Day! And to the degree that our leaders have been willing to abide by the Constitution, I believe what Franklin said was true. But to abide by the Constitution, one needs to know the Constitution. , he brought both books home for me to use in teaching our children. Unbeknownst to him, we already owned both books. Great minds think alike! We think it’s important for our children to be familiar with the Constitution. 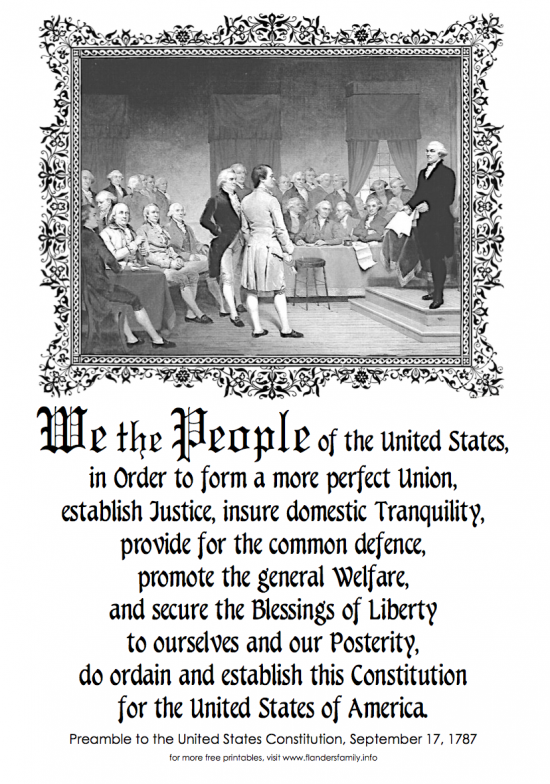 Although we’ve never asked them to memorize the whole thing, we have had all of them memorize the Preamble. I gave our printable a facelift in honor of Constitution Day. Click here if you’d like to print a (free) copy to use with your own family. 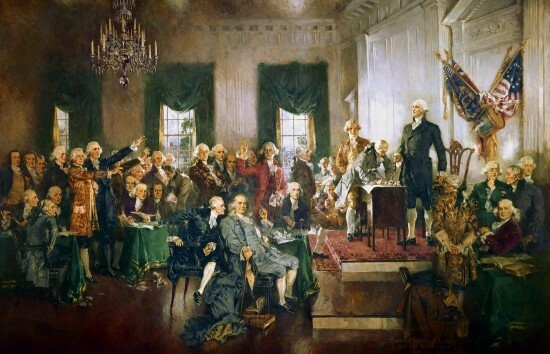 In the meantime, I hope you have a blessed Constitution Day! « Vitamix vs. Blendtec: Which is Best for You?